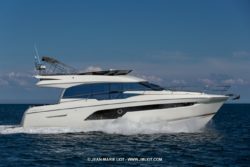 Being one of the newest flybridge models, the Prestige 520 has rapidly become the number one selling yacht in its class in North America. Not to mention, against all other similar brands. 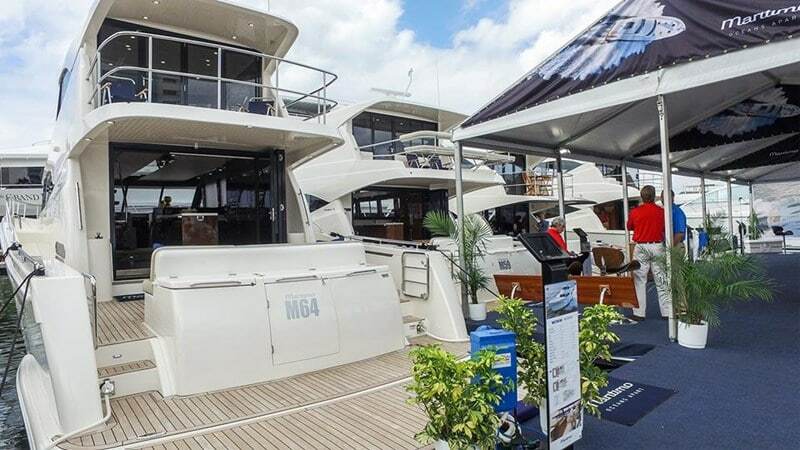 Galati Yacht Sales is Prestige Yachts’ exclusive dealer on the Gulf Coast and has represented Prestige since 2014. 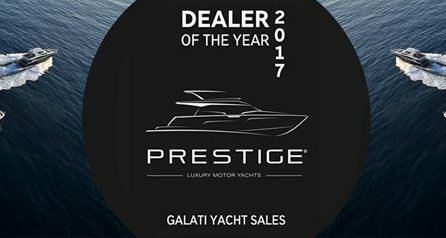 In fact, Galati Yachts has been recognized by Prestige as North American Dealer of the Year, not once but twice! 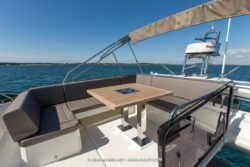 “The Prestige 520 offers yachtsmen the best elements of the flybridge yacht and express cruiser in one vessel,” according to Yachting Magazine. This luxury yacht follows suit of the Prestige 500/500 S and will soon replace it. One of the most noted evolutions of this vessel is the foredeck. With an XXL flybridge offering the most room seen for relaxing on a luxury yacht this size. The interior and extremely vast windows contribute to the warm and bright atmosphere. Above all, it still offers unimpeded visibility. 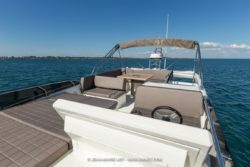 In addition, this vessel is very adequately equipped with the hard top, Wenge interior, and North American equipment package. As well as tropical A/C systems. 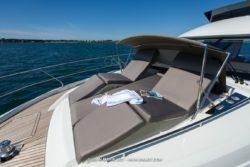 You will not discover a better value for a similar Hard Top Flybridge in a similar class! 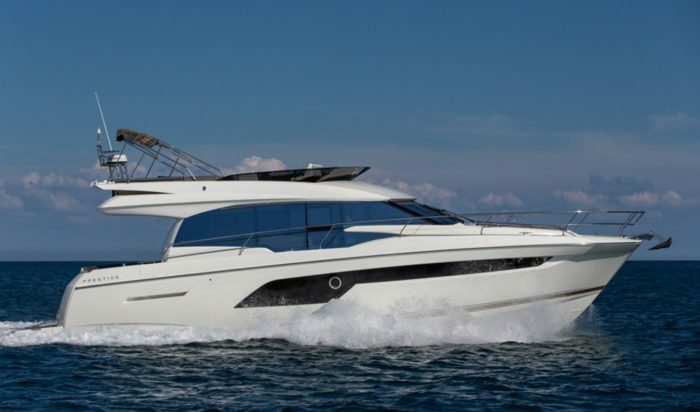 Last but not least, Galati Yachts is also excited to announce that our next available stock Prestige 520 Flybridge is soon to arrive! Currently, this beauty sojourns in Savannah, GA where the final assembly is being complete for relocation to the Gulf Coast. 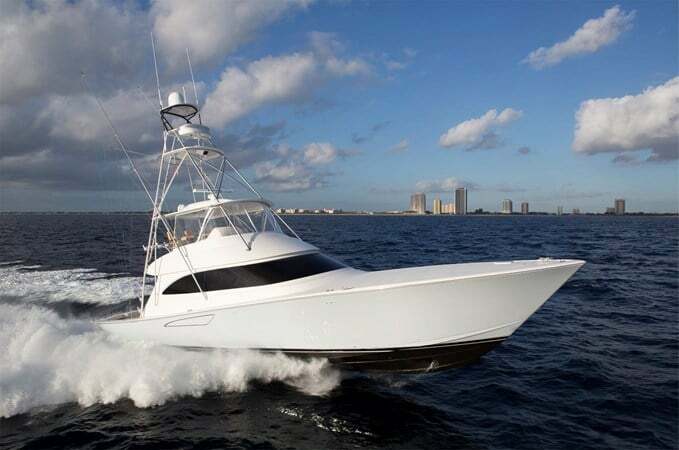 With only 70 built to-date, this 520 flybridge is one of the few available in the country. For additional information on this model, you can learn more by clicking the link below. Or contact us to be put in touch with one of our knowledgeable Prestige Yachts specialists who would be happy to assist you.